Everett Griner talks about the high cost of wildfires in today’s Agri View. There is no such thing as putting an end to wildfires. 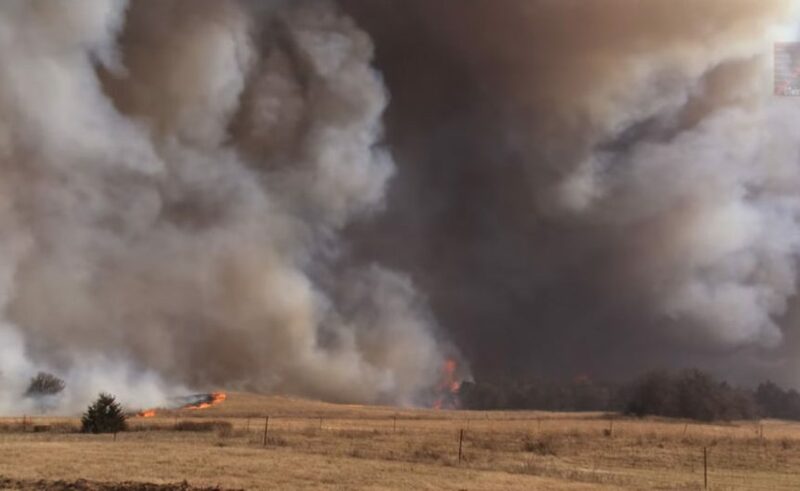 Unlike hurricanes, floods, and tornadoes, wildfires generally hit farmers and foresters harder than it does urban dwellers. Look at what occured in Oklahoma back in April. It cost cattle ranchers over 26 million dollars. I finally got an accounting of how much damage was done, or what the hardest hit sections were. 16 million dollars to fix and repair fences. 6 million to replace burned and damaged buildings and corrals. Over 1.5 million to replace feed. I’m not talking about pastures. I’m talking about feed. Hay and pasture losses went over 6.5 million dollars. There are other items like veterinarian bills, lost vehicles. There is more but losses in these areas were not as costly. It’s not the worst forest fires we have had either.